Here at Bouden Coach Travel we are proud to say that we can also provide you with tickets to Cheltenham. If you’re looking to book your transport to and from the races why not enquire about our Cheltenham ticket packages too! Call 0800 112 3770 to enquire about our Cheltenham ticket packages, you can also email [email protected] a member of our team will get back to you in no time with a bespoke Cheltenham ticket package just for you. There are 3 different ticket options. Tattersalls enclosure ticket packages, Bestmate enclosure ticket packages, Club enclosure ticket packages. Depending on what your budget is for the day we can get across to you a quick quote on your unique enclosure ticket package. We provide minibus hire to Cheltenham 365 days a year, transporting groups from their location and taking them to Cheltenham Racecourse in style. Our drivers are professional, uniformed and always provide a top quality service for our clients. You can guarantee that you will also recieve a minibus to hire which is perfect for your group. 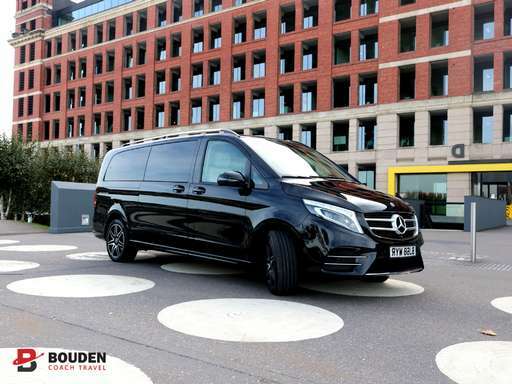 Cheltenham Minibuses come in sizes: 6 seat Cheltenham MPV’s, 7 seat Cheltenham MPV’s, 12 seat Cheltenham minibuses, 16 seat Cheltenham minibuses, 19 seat Cheltenham minibuses and 24 seat Cheltenham minibuses. For larger groups we also offer coaches to hire for Cheltenham, they come in sizes: 33 seat coaches to hire for Cheltenham, 49 seat coaches to hire for Cheltenham, 52 seat coaches to hire for Cheltenham, 55 seat coaches to hire for Cheltenham, 57 seat coaches to hire for Cheltenham and 61 seat coaches to hire for Cheltenham. No matter what size your group may be or what budget you have we promise that we can accommodate with a vehicle perfect for your Cheltenham transport that is not just of high quality, but is also budget friendly. Give us a call on 0800 112 3770 to enquire about your Cheltenham experience. Here at Bouden Coach Travel we take the hassle out of booking your Cheltenham experience.